I love J.M. Barrie's Peter Pan. Along with reading the book I've seen every iteration of this childhood classic on television or stage from the version of my childhood starring Mary Martin, to Sandy Duncan, to Cathy Rigby and right up to Allison Williams on NBC's latest live telecast. From Robin Williams in Hook right up to Johnny Depp as Barie in Finding Neverland, I've kept Tinkerbell alive by viewing and clapping every time. I even had a mated pair of cockatiels named Tinkerbell and Peter Pan, that's how obsessed I am with the story. Now I've taken my obsession one step further and introduced it to my other obsession, Happy Hour! 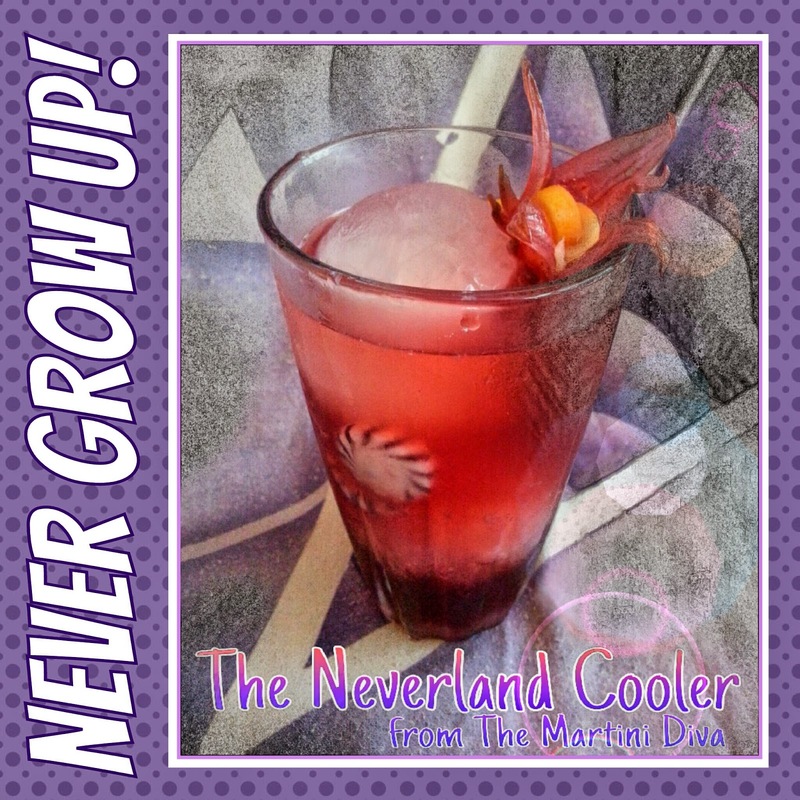 Enjoy and may Neverland always be a part of your heart too. INGREDIENTS: 1 Oz. Pomegranate Vodka 2 Oz. Concord Grape Juice 1/2 Oz. Homemade Grenadine* 1 Tablespoon Rose Water Lemon Lime Soda Hibiscus Flower Lemon Twist DIRECTIONS: Add the vodka, grape juice and rose water to a tall glass filled with ice, top off with the lemon lime soda and stir. Pour the grenadine over the top and allow it to settle down through the drink. Garnish with a lemon twist tied in a knot tucked inside your hibiscus flower. Pop in a straw and serve. I happened to have a few little purple candies so I tossed those in just for a little more fantasy. They melted a bit as I drank and added a touch more sweetness and grape flavor towards the end of the cocktail. You can never, never grow old.